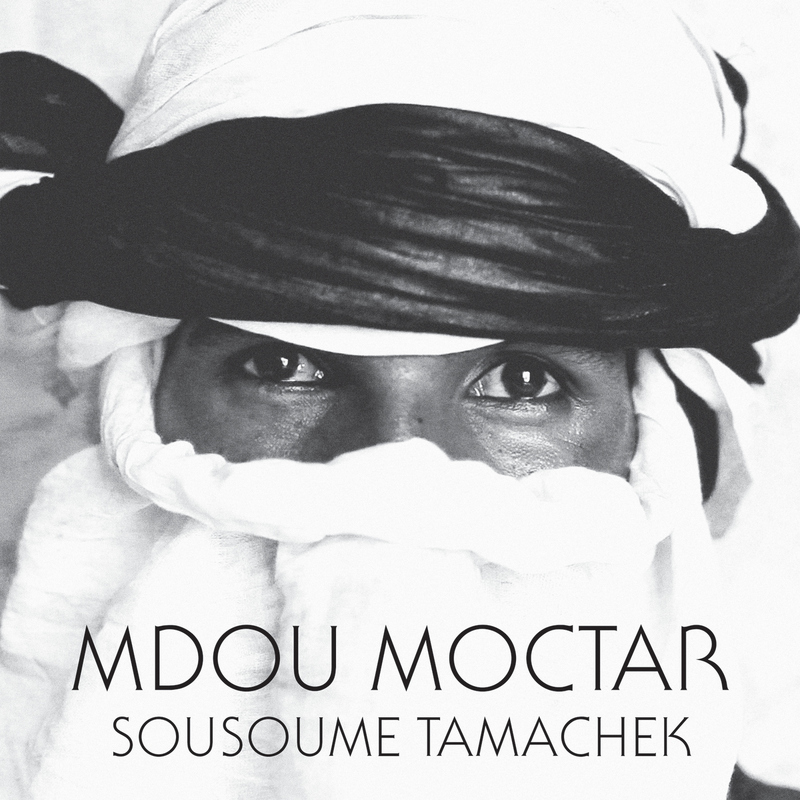 Mdou Moctar’s new album, Sousoume Tamachek, is now available! In the past years, Tuareg rock music, particularly that of Niger, has gotten faster. There is a preference for this new sound – both in the raucous weddings of Agadez and in Berlin rock clubs. The wavering guitar solos, rapid fire drums and heavy distortion has become characteristic of the contemporary sound. For Mdou, this was not always the case. Self taught in a religious region that eschewed the guitar, Mdou was forced to learn music in secret. And when he did begin to play, there were no weddings or festivities. His early oeuvre was developed to play at informal private sessions with his friends. In these “takits” or picnics, Mdou and his friends would pass the lazy days together sitting under a tree, drinking tea, laughing, and singing songs. For his new record, Mdou revisits this “music for desert picnics,” taking his compositions from his youth, and bringing them to the studio (his repertoire of “takit” songs were never recorded and only exist on warbly cassette recordings compressed into low quality mp3s). From love ballads (“Nikali Talit”), religious praise (“Ilmouloud”), to life counsel (“Amidini”), the songs are intensely personal, both in content and in structure. Constructed around the guitar, Mdou plays everything on the album in lush layered overdubs, singing both call and response vocals, playing rhythm guitar, and drumming on the calabash. Produced in collaboration with Christopher Kirkley (Sahel Sounds) and longtime associate Jesse Johnson (Boomarm Nation), the light touch pays respect to the origin of these ballads. The result is a very different side of Mdou Moctar, that of quiet introspection, lifted out of memory for one last time. Get the vinyl from Bandcamp and our shop.